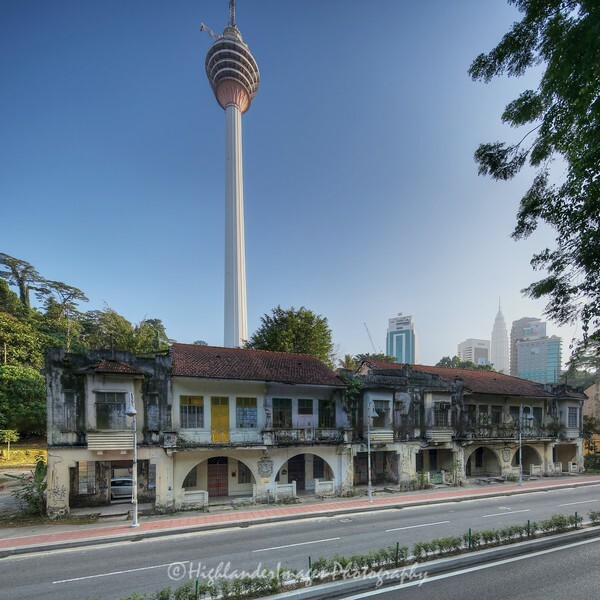 Right in the heart of Kuala Lumpur and under the shadow of the KL Tower at Bukit Nanas are a variety of wonderful old heritage buildings which have been left to decay and rot in the hot tropical heat and humidity. On the main Jalan Raja Chulan road is a row of houses which in their day probably represented the very best and elite accommodation in the city. These 8 houses in a row have an elaborate crest on the wall with the letters OES and the date of 1931 but there is little else I can find out about them. Amazingly there are some people still living in one or more of the houses but no doubt these wonderful heritage buildings will eventually disappear and this prime land be re-developed.